Today was a good day! I got my order from The Twinery and I took a trip to my local scrapbook store and loaded up on lots of new goodies from My Mind's Eye. So much fun stuff! Isn't that just gorgeous paper? The new My Mind's Eye paper collections are awesome! 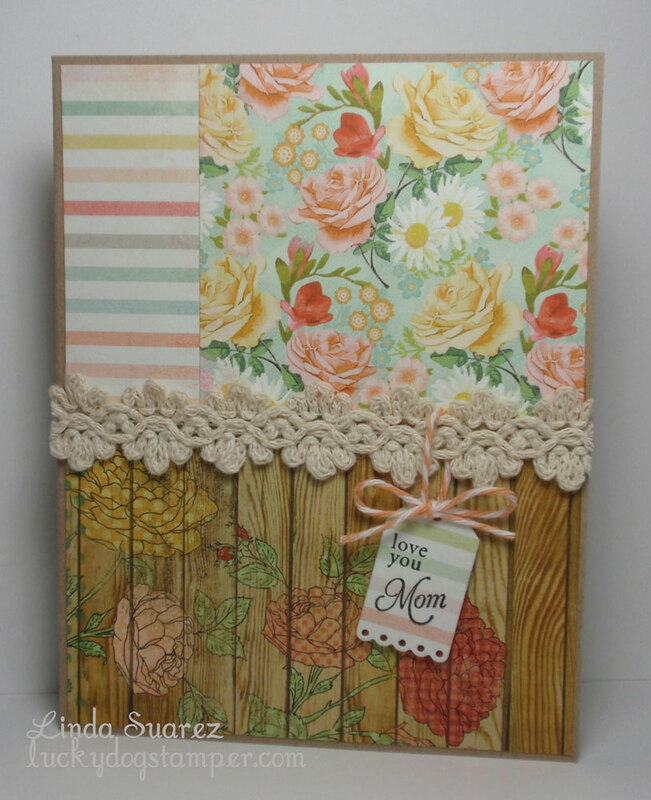 Run, don't walk, to your local or online scrapbook store and get some of your own. It's so much prettier in real life. 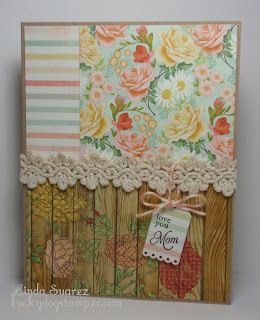 Oooohhh that is some gorgeous paper and you've made a gorgeous card with it! Love the tiny tag! Love love it Linda!! Great new paper! I love the lace you used!! SO so pretty! !